Porcelain mug with rectangular cut out space with romantic print. 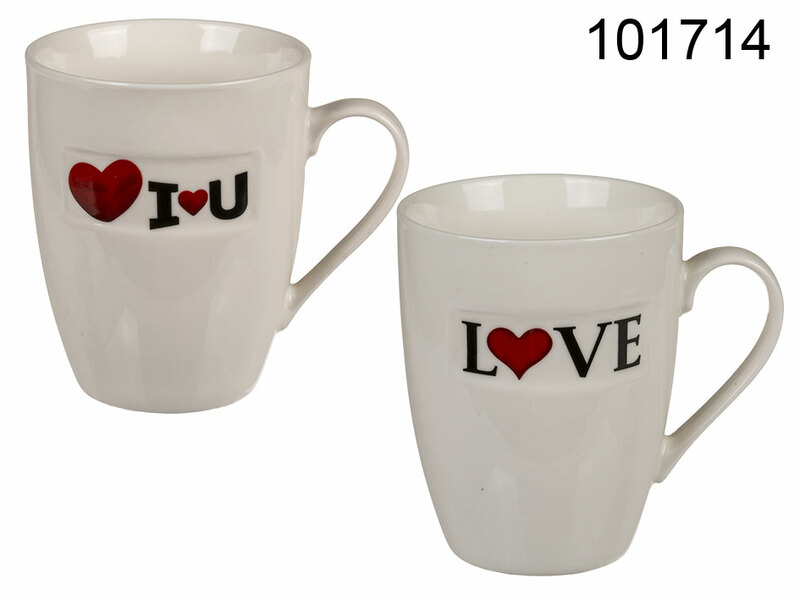 With this mug drinking your morning tea or coffee with your loved one with taste even better. Wonderful gift idea for those who are in love. Two models available - assorted.